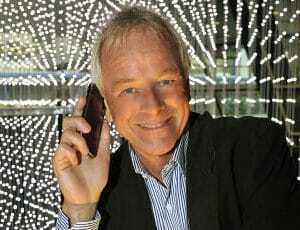 The brain agent and trend spotter René Boender is a highly sought after keynote speaker and chairman. With his keynote " The Chance to Change is now " he has been named the best foreign speaker in the USA three times already! When it comes change - our speaker René Boender has a saying: Start with yourself , take the reins and take the right path into the future. René Boender is an acknowledged and inspiring speaker. He captures his audience right from the start. 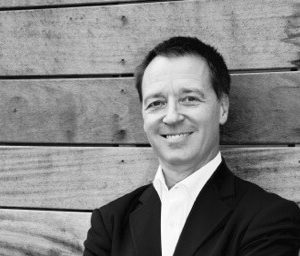 Our keynote speaker René Boender began his career in marketing and advertising in his early twenties. The US agency McCann discovered his talent and immediately propelled him at the core of the international advertising market. He was responsible for their largest accounts, Black & Decker and Coca-Cola, CNN and L’Oréal, H&M and Levi’s. In the late eighties, people called him “Rainmaker on Madison Avenue,” the best new business driver in advertising. In the early 90s, the tenacious speaker René Boender started his own successful agency: BBCW. After ten more years in business he then started to give talks at international conferences and worked as a guest lecturer. His involvement in several high profile projects makes him an interesting guest to a lot of audiences. In 2012 and the two consecutive years, René Boender was named the best foreign speaker in the USA with his keynote “The Chance to Change is now”. As the author of the bestseller “Great to Cool”, our thought-provoking speaker René Boender shares his knowledge, his experience and vision. He focuses on increasing business happiness and believes that everything hinges on the power of communication. Furthermore, he is an expert on the ‘Generation Z’ and published a well-selling book on this target group, which made it up to number one of the top 100 of management books twice. Again a big success, René Boender’s third book “Cool is Hot ‘, also rose to the top position! René’s professional vision and energetic communication skills enable him to give exciting talks and connect with his audience. Our speaker René Boender talks on various topics. He looks at the way one deals with difficulties and helps you to start with yourself and take the reins. His keynotes are about pushing boundaries and the courage to change. For an even better impression, have a look at René Boender’s Showreel. Artificial intelligence… The term is often used, but how do assure you stay ‘in the loop’ and successful? How can you use all these changes in order to make the difference with EEC; Energy, Enthusiasm and Compassion! Listen carefully… and find out how you can realise this! The beauty of it is: You do not have to be a rocket scientist. Whether talking about customers, employees or stakeholders. You just want to implement this! René Boender takes you on an inspiring story filled with humour (Gen Z and YouTube) video boost & learn fragments, practical tips to go from Great to Cool and to continue to HOT – just like in René’s bestseller. His story is for everyone: from entrepreneurs to managers to employees. An eye-opener to many who like to improve their personal effectiveness and give their (business) life wings!